Nothing is more timeless than a strand of real pearls, and a young lady will have the daintiest and prettiest when paired with this gorgeous 14K Solid Gold heart pendant, engraved with her beautiful name. A personal touch only deserving of some one as special as she. Gold heart pendant includes FREE single side engraving, with the following options: engrave her name, initial, or even a fancy monogram on one side and a short message on the back. Excellent special occasion gift. Please note, all engraved items are not returnable and/or exchangeable. 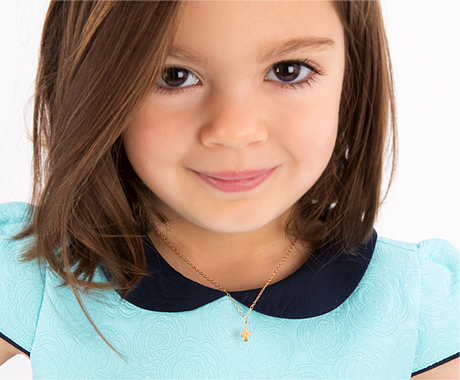 A classic dainty pearl necklace with engraved solid gold heart pendant; sure to be a timeless keepsake she will cherish for life.